As we reported recently on our Tax Problem Attorney Blog, the IRS crackdown on offshore bank accounts has led to more criminal tax charges against tax preparers and bankers. The U.S. Department of Justice recently accused Renzo Gadola, a former UBS banker, of encouraging a client not to report an offshore bank account. The government continues to crackdown on those who fail to file FBARs (Foreign Bank Account Reports) since instituting its tax amnesty program, a/k/a Offshore Voluntary Disclosure Program (OVDP), and Offshore Voluntary Disclosure Initiative (OVDI) which permits taxpayers to voluntarily disclose offshore bank accounts without the threat of criminal prosecution. Large civil penalties and interest still apply. 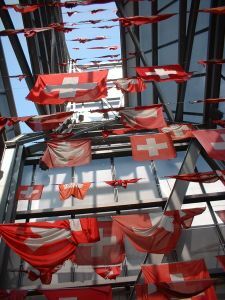 The government captured Gadola on videotape, telling a client at a Miami hotel not to report an overseas bank account at Basler Kantonalbank, a regional bank in Basel, Switzerland. He faces a maximum of 5 years in prison. But of interest to his clients is the fact that such guilty pleas frequently require defendants to cooperate with the Internal Revenue Service. In fact, while Gadola was advising his clients the chances of getting caught with a Swiss bank account were practically “zero percent,” and that there was no paper trail, one of the most reliable ways the IRS finds and tracks such foreign bank accounts is through the cooperation of bankers and tax preparers who are in trouble with the law. If you are concerned about potential tax evasion charges in connection with offshore bank accounts, contact the tax lawyers at the Brager Tax Law Group, A.P.C. for a confidential appointment to discuss your rights. Call 310-208-6200.